MACSIM®is a scientifically based simulation system with the aim to improve the preparedness for, and response to, major incidents and disasters. 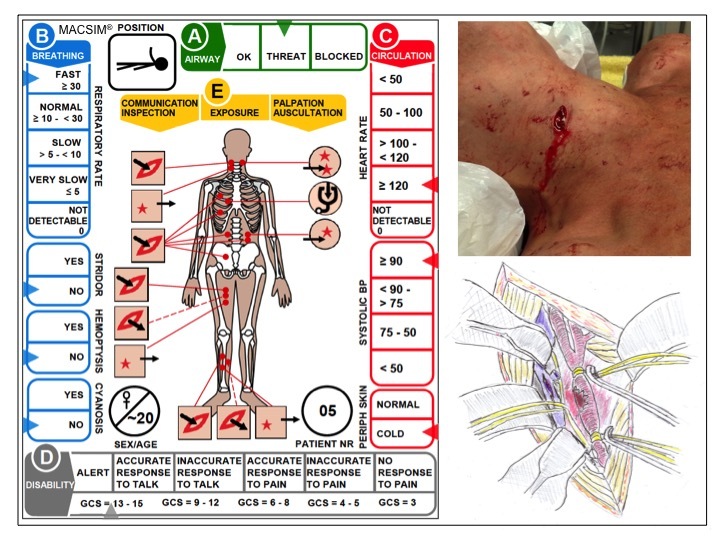 MACSIM is developed by an international group of experts in Disaster Medicine from several countries under leadership of Professor Sten Lennquist, well recognized for his contributions in this field, with commitments from the Swedish Government, the European Union (EU), the World Health Organization (WHO) and several countries in different parts of the world. He was also the initiator and developer of the Emergo-Train System, launched 1984, of which MACSIM is a further development. MACSIM was launched 2009 and has since then been used for international training of more than 1500 professionals, mainly within health-care, but also collaborating agencies like rescue-service/ fire brigade, police and military. It has so far generated the establishment of nine international training centers in different countries where it also is extensively used in national training. The accuracy of MACSIM as a training tool has been scientifically validated in collaboration with educational expertise in a prospective study on 230 qualified trainees from 23 different countries. The trainees´ self-assessed knowledge and skills in 19 different areas directly related to the course-objectives was registered immediately before (blue columns in the figure) and immediately after (red columns) the training. The difference was highly significant in all parameters. If you too want to belong to the category of staff with knowledge and skills according to the red columns above and not the blue columns, register today for a course based on this system. 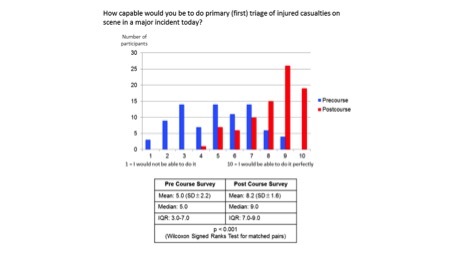 If you are a decision- maker with responsibility for health-care (which includes mass-casualty response), fulfill this responsibility by providing your staff with scientifically validated training before the incident happens. You can select the boards you need, and even get boards adapted to your local organization/facilities. 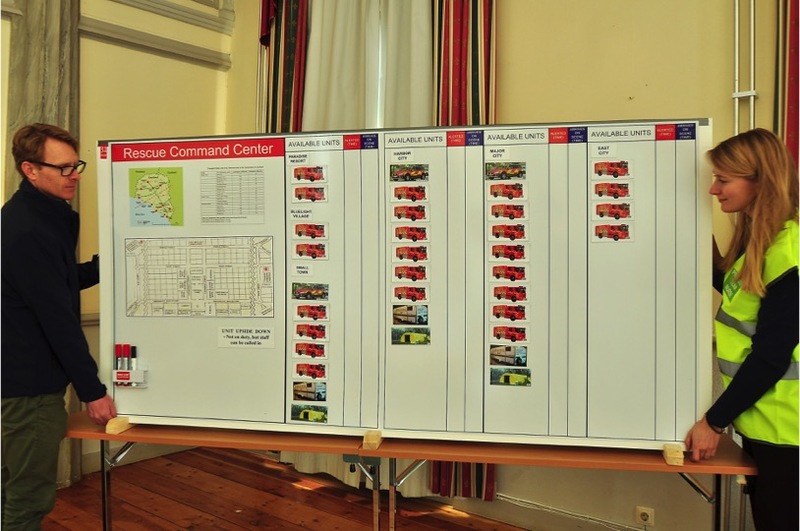 The most advanced use, training the whole chain or response simultaneously as in the MRMI-course, requires 48 boards 2x 1 m but can be packed in one single box and set-up ready for use in less than hour. ©2016, made by Fredrik Moström.